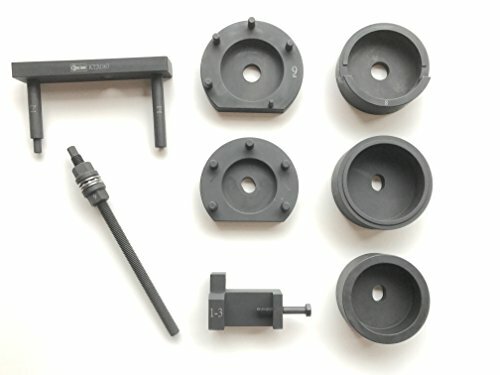 This application specific press-tool set allows for on-car installation AND removal of the transmission mount bushing that is attached to the transfer case. The ability to perform this procedure on the car saves hours of labor and avoids significant disassembly. Servicing the bushing using this tool does not require the removal of the transmission or transfer case. Packaged in a plastic, blow-molded storage and carrying case. If you have any questions about this product by Koch Tools, contact us by completing and submitting the form below. If you are looking for a specif part number, please include it with your message.